The Bisti Badlands are unlike any place I’ve ever visited. The erosion of layers of rock has left behind the singularly unique hoodoos that look more like something in a science fiction book than a real place. 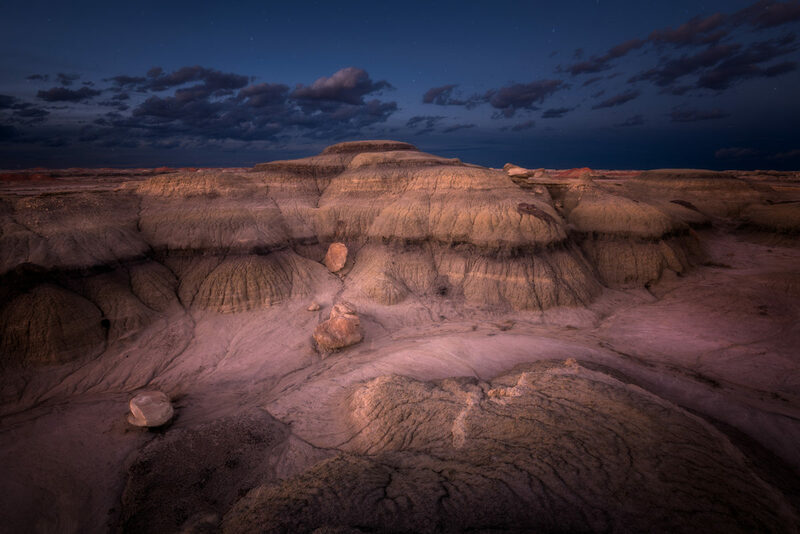 The Bisti Badlands remain somewhat below the radar in terms of being a tourist attraction of any note – a single shell road leads is the primary access point to the area. The beauty of this area is that you are often alone as you explore the hoodoos. The silence of the wind and ambient noise of the expansive land are extremely soothing. If you can’t find a sense of calm here, you will struggle to find it anywhere else. I’m thrilled to be headed back there this June to spend some late afternoon and evening hours photographing the hoodoos and the Milky Way above. The photograph above is from my last trip there – taken just after the sun retreated below the horizon.